Stonehenge evolved over fifteen centuries. The early phases of the monument began around 3150 BC and consisted of a 380 foot (115m) diameter circular bank, which created a ditch outside the circle. Inside the circular arena was an alignment to the solstitial sunrise, through a break in the bank to the Heel stone. A century later, 56 large holes were dug around the perimeter of an accurate 283 foot (86m) circle, now known as the Aubrey circle after the antiquarian John Aubrey, who discovered the remains of these holes. Current ideas are that these holes may once have held wooden posts or even bluestones. About a century further on, a bluestone semi-circle was built in the centre, which had lintels carried aloft long 8ft slender uprights. 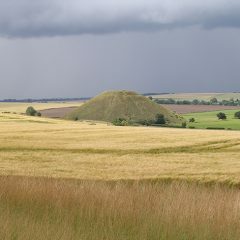 This was truly a proto-Stonehenge, for in the middle of building this first architectural structure, a much more ambitious project was about the be initiated, that of hauling seventy five huge sarsen sandstones, some weighing in at forty tons, from the Marlborough Downs, twenty miles north of Stonehenge, near Avebury stone circle. This became the 100 ft diameter sarsen circle and the trilithon horseshoe. 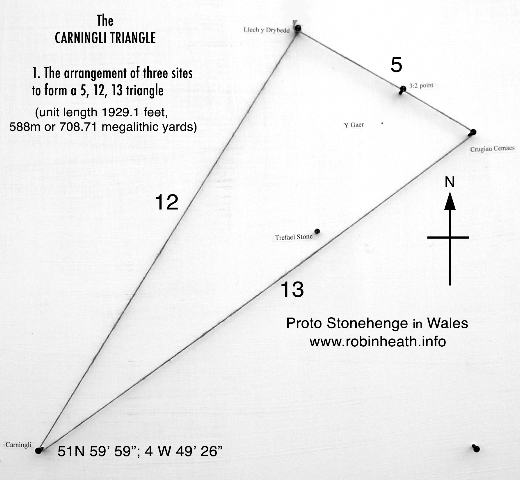 Prior to the arrival of these monsters, perhaps around 2800 BC, four standing stones were placed around the perimeter of the Aubrey circle to define a ‘near perfect’ rectangle whose side lengths were in the ratio 5:12. The sarsen structures at Stonehenge, the circle and the five bigger trilithons that rise up inside the circle, are the logo that everyone ‘sees’ when the word ‘Stonehenge’ is mentioned. However, this is a grandiose later structure, and the earlier phases are just if not more important. There are still the remains of most of the bluestones on site. Some were very polished, some still have the tenon or mortice joints that must have once enabled them to form a trilithon structure in the earlier bluestone ‘henge’. These recycled bluestones were later placed in a bluestone circle within the sarsen circle and in the horseshoe arrangement within the trilithons. The link between Stonehenge and West Wales goes back much further than one might think, Carmarthen-born legend Merlin is said to have claimed that the Stones arrived from Ireland, in a fanciful tale invoking giants, yet in his lifetime, West Wales was administered by the Irish and even the language spoken here was Irish. West Wales was, in effect, Ireland! But there’s another problem with Merlin’s tale – the stones to which he refers are the giant sarsen stones, which weigh up to 40 tons, not the bluestones which weigh in at a tenth of this. In 1603 a local Pembrokeshire nobleman, George Owen, who, according to a brass plaque in Nevern church was ‘The Patriarch of English(!) 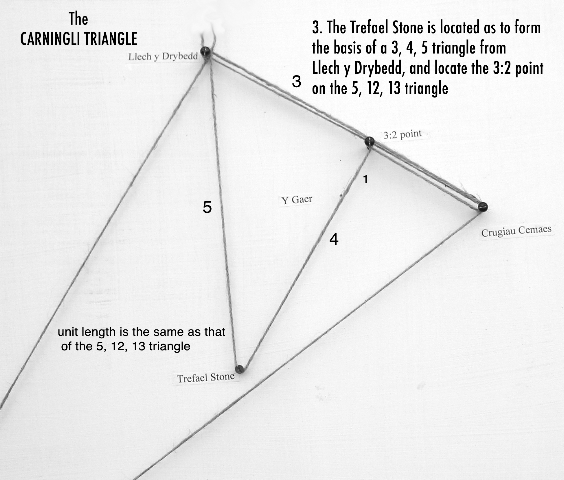 Geologists’, made a connection between the stones and the design of Pentre Ifan and Stonehenge. And in 1655, Architect General to the King, Inigo Jones made the first well popularised (and very inaccurate plan) of the inner part of Stonehenge, for King James I. Major archaeological surveys of the monument have been undertaken during the last two centuries. Sir William Flinders Petrie, the ‘father of modern archaeology’, accurately surveyed the inner part of Stonehenge in the 1870s, before he was twenty years old. In the early part of the twentieth century, Col Hawley spent years excavating the site, adding greatly to our knowledge of what Stonehenge had once been. 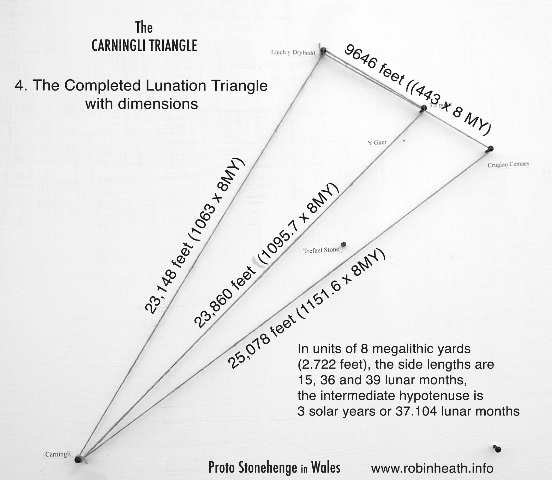 In the 1950s professor Richard Atkinson, from UCSW, Cardiff, devoted many years to another major survey, and one outcome was his bestselling book called simply, Stonehenge, published in 1956 by Hamish Hamilton. In 1973, Atkinson asked ‘the father of modern archaeoastronomy’ professor Alexander Thom, to undertake ‘the most accurate survey ever undertaken of the monument at ground level’. It was done that year. In the Preseli mountains of coastal West Wales, there are several volcanic outcrops that during the past ninety years have been identified as the source of the bluestone megaliths at Stonehenge. 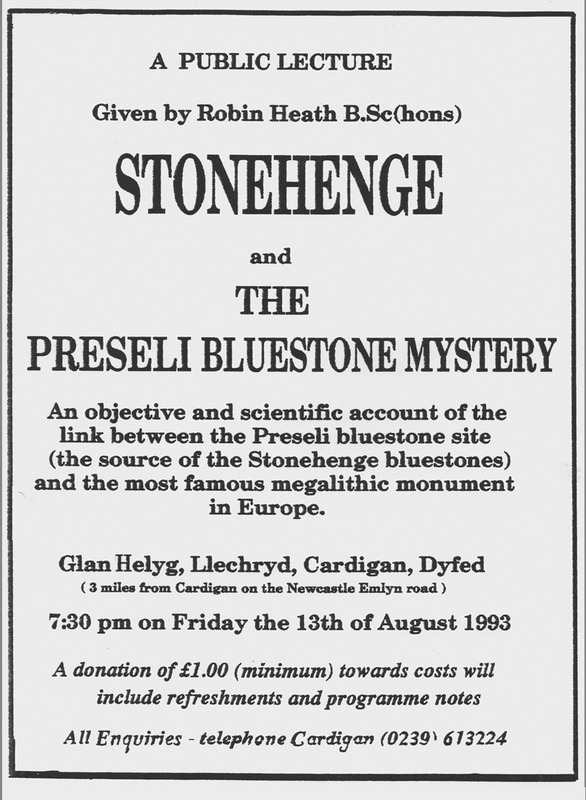 In 1923, Geologist Dr H H Thomas published an academic paper suggesting that many of the Stonehenge bluestones had come the Preselis. This discovered has fuelled along standing debate, acrimonious at times, as to whether these stones arrived at Stonehenge through deliberate human intent, or by the action of glacial flow. Recent work by professor Mike Parker Pearson (UCL), and geologists from Aberystwyth University, has employed improved petrological analyis to begin the process of identifying the source of each of the bluestones that now remain at Stonehenge. Supposing it can ever be proved that human endeavour was responsible for moving these 4 ton monsters all the way from Preseli to Salisbury Plain, then beyond marvelling at the engineering and cooperative skills shown by our distant ancestors, a much bigger question needs to be answered. That question is why they should have moved these stones over 150 miles? What purpose was being served by moving them? An independent researcher and author of three books on Stonehenge, Robin Heath, has been working for over twenty-five years to find an answer to this question. He now claims to have found an answer, and that answer is to be found in the landscape of West Wales, near Newport, Pembrokeshire. 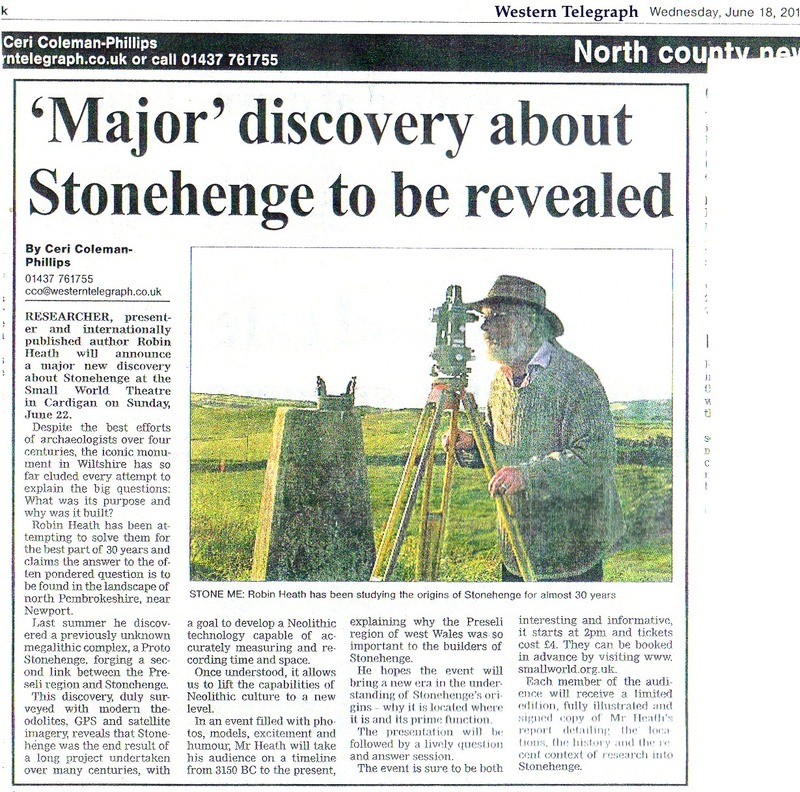 In the summer of 2013 he discovered a previously unknown megalithic complex, a Proto Stonehenge, forging a second link between the Preseli region of Wales and Stonehenge, independent of the matter of the bluestones and how they got to Stonehenge. This discovery, surveyed with modern theodolites, GPS and satellite imagery, reveals that Stonehenge was the end result of a long project undertaken over many centuries, whose goal was to develop a Neolithic technology capable of accurately measuring and recording time and space. Breathtakingly accurate, what has been discovered is a work of creative genius, completely lost until now and missing from our historical record. Once understood, it allows us to raise the capabilities of Neolithic culture to a new level, revealing a practical prehistoric science through which they integrated the rhythms and cycles of the sky we still experience on earth. It is appropriate that the announcement of this discovery should be in the region of Wales where this took place, at the Small World Theatre in Cardigan, and also that it should take place during the midsummer solstice period, on Sunday June 22nd. 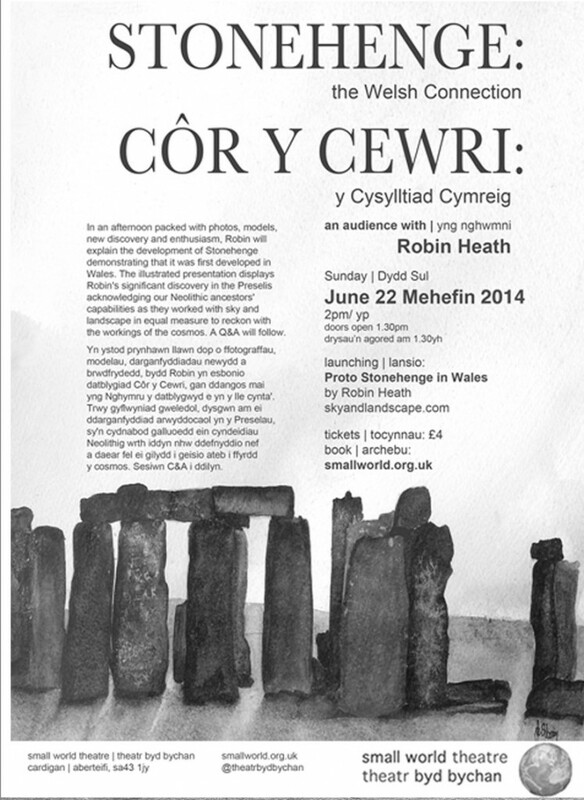 A quite small exhibition with rather large models will also be available, and Robin’s new book, Proto-Stonehenge in Wales, will be launched in Wales to begin telling an exciting new story about how Stonehenge came to be, and how our ancestors forged the first beginnings of astronomy and surveying in West Wales. undertaken by Bill Hamblett, of the Small World Theatre. 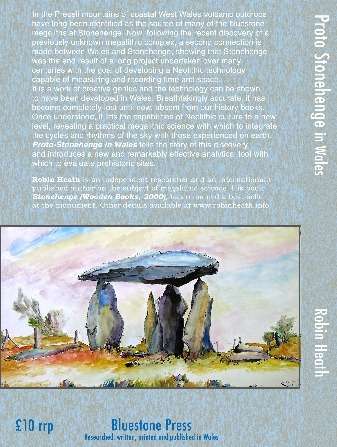 Robin Heath is an independent researcher and an internationally published author of seven books on the subject of megalithic science, including four with Stonehenge in their title. His book Stonehenge (Wooden Books, 2000) has remained a best-seller at the monument. 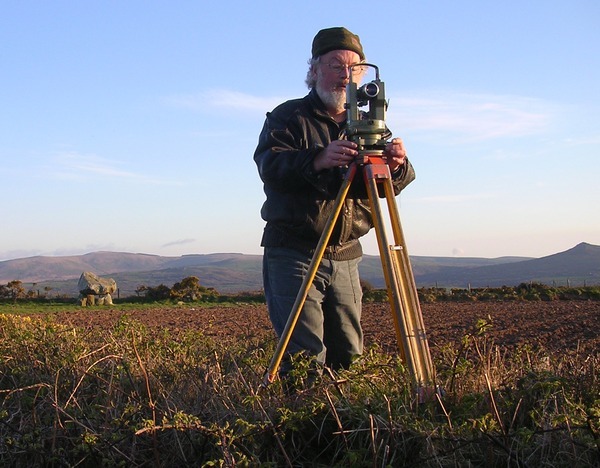 He manages to get out quite a lot, usually with a theodolite. Other details are available at www.skyandlandscape.com or www.robinheath.info. 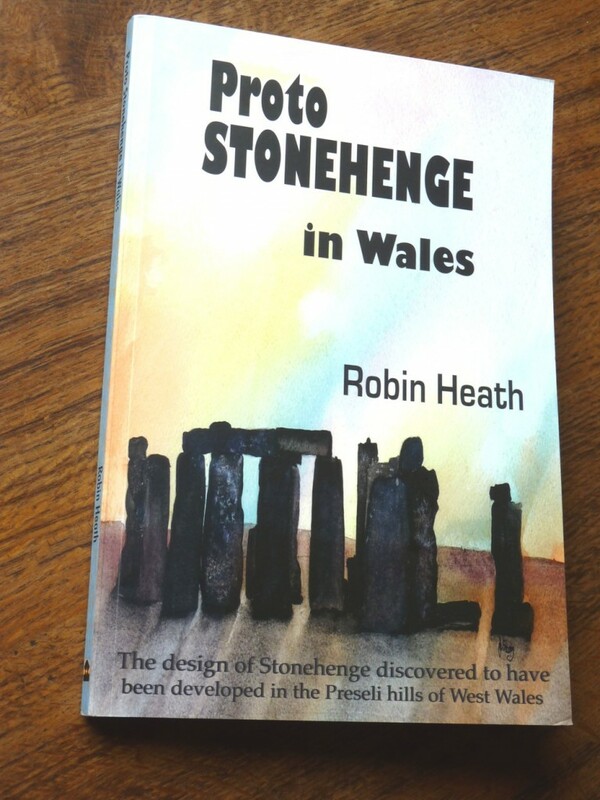 BOOKS: Robin Heath is the author of A Key to Stonehenge (1993), Sun, Moon & Stonehenge (1998), Sun, Moon & Earth (1999), A Beginner’s Guide to Stone Circles, Hodder-Headline (1999), Stonehenge (2000), The Measure of Albion (with John Michell, 2004) [reprinted as: The Lost Science of Measuring the Earth (2006)], Powerpoints (2007), and Bluestone Magic (2010). He has lectured widely, in Britain, Ireland and France, and for over twenty five years has undertaken tours, presentations, workshops and media interviews on the ancient sciences and the megalithic culture. These are photos of a large plywood model, and proper hemp corded string. I like the lighting on them and they get the message across in four photographs. 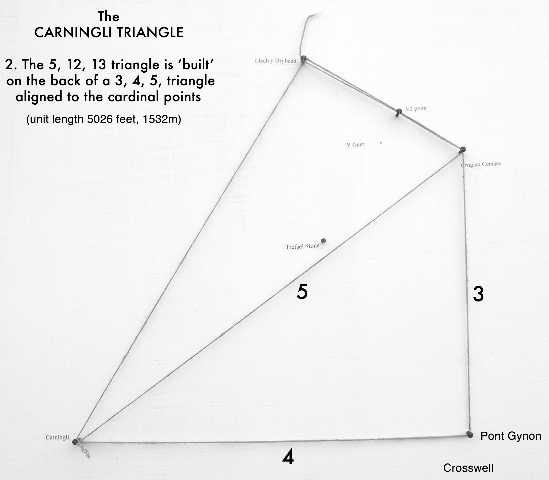 People will, of course need to understand that the Station stone rectangle contains an inherent lunation triangle, similarly constructed in units of either one or 8 megalithic yards (an eight year or a one year count respectively) of 2.722 feet, and that its dimensions are 40, 96 and 104 MY. 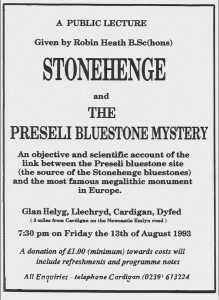 An objective and scientific account of the link between the Preseli bluestone site (the source of the Stonehenge bluestones) and the most famous megalithic monument in Europe.